Short Synopsis of the Story: It is late summer and on Blueberry Hill the blueberry bushes are ripe for picking. Sal a young child and her mother laden with metal pails head over to Blueberry Hill to pick blueberries to can and preserve for the long winter ahead. Sal’s mother picks blueberries industriously but most of Sal’s blueberries make it into her mouth! 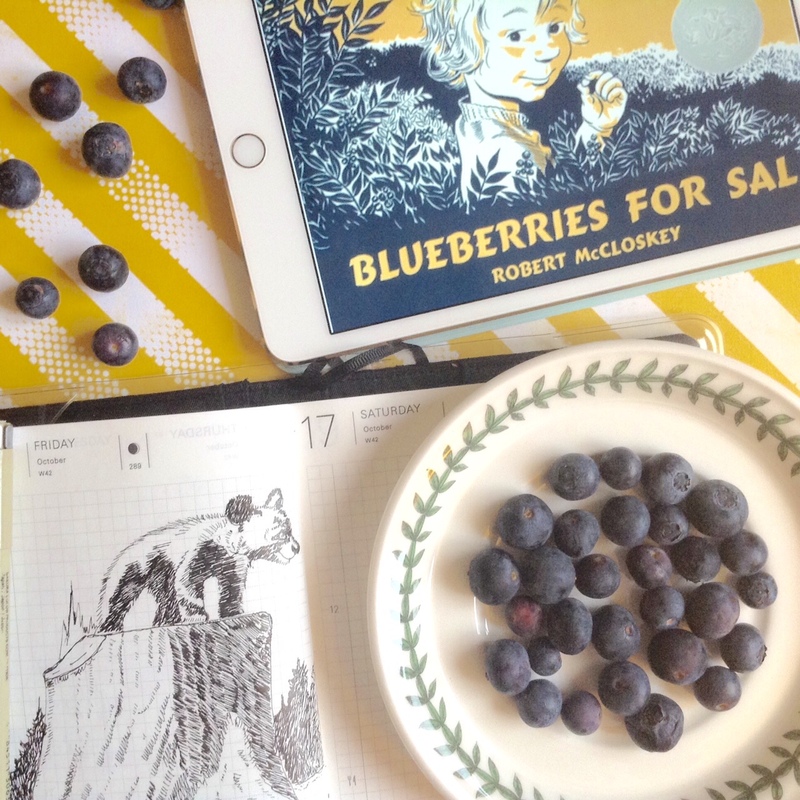 On the other side of Blueberry Hill a Mother Bear and her small cub are similarly employed in gathering blueberries. The Mother Bear wants to eat as many blueberries as she can before she and her cub hibernate for the long winter. As luck would have it, Sal and her mother and the Mother Bear and her bear cub find themselves separated in their blueberry picking endeavours. Sal comes face to face with the Mother Bear who being very shy moves away from Sal. Similarly Sal’s Mother is caught unawares and finds herself face to face with the Little Bear. Sal’s mother alarmedly rushes to search for Sal. She hasn’t looked very far when she hears the familiar sound of blueberries plopping into an empty pail. Little Bear’s mother has not searched very far before she hears a familiar hustling, munching and swallowing sound. Little Bear and his mother and Little Sal and her mother are reunited and laden or filled with a great many blueberries they make their way home down opposite sides of Blueberry Hill. Notes: The favorite part of the story for me were the lovely line drawings of Robert McCloskey. The beautiful endpapers depicting a cozy kitchen scene where Sal and her Mother are busy canning blueberries are particularly charming. The story conveys the message that the animal instinct of storing food in scarcity is preserved across different species. 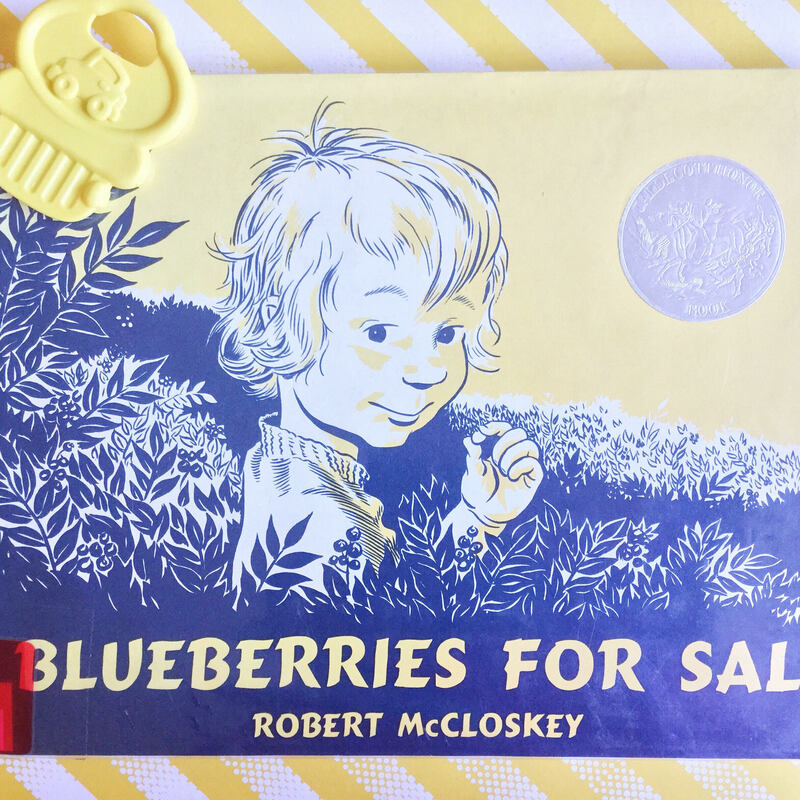 The blubbery picking scenes are reminiscent of Maine where it seems McCloskey stayed. This is a gem of a book. Particularly endearing are the descriptions of Sal plopping blueberries into her pail with a ‘kuplink, kuplank, kuplunk ‘ sound.